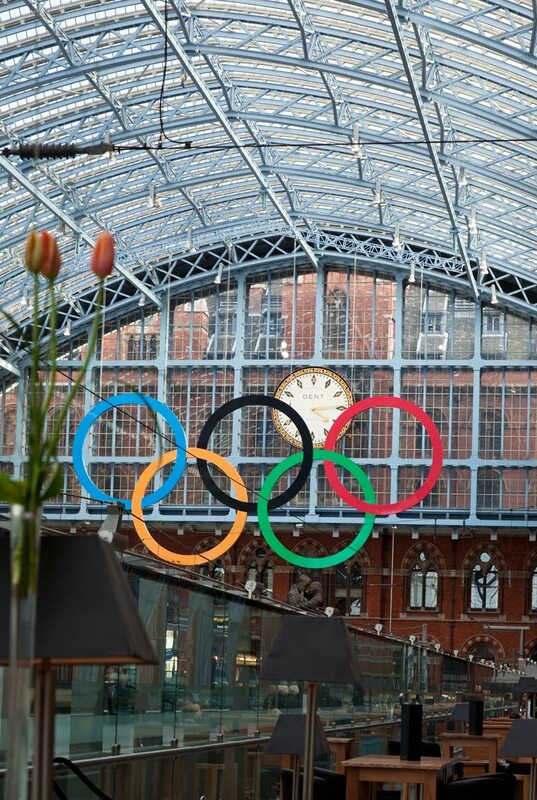 The first of many sets of the Olympic rings was unveiled at St Pancras rail station the other day. Just 508 days until the 2012 games begin in London. Thanks to the games many of London's buildings and parks are getting a make over. Expect London to be in her finest gowns next year. Good place to have Olympic rings. Those 508 days will pass very quickly! Excellent! Would love to be there for the games. Oooh its all going to cost. Lets hope we get more in than we pay out. Sounds like a long way off but, it will arrive so quickly. Can't be over and done with soon enough for me. Waste of money - of which we don't seem to have much these days. A big party on borrowed money! Always a recipe for disaster. Like Dave, we can always hope. What an exciting time for all you Londoners! I hope you do better with your budgeting that Montreal did when we had the games though. We had them in '76 and I think we just finished paying for them no more than 4 years ago!!! It will be exciting times in London! Would love to be there to see the marathons. London is a great place for the Olympics, though I imagine it will be very disruptive for those people just trying to live their normal lives. I might attend. The games are giving much needed boost to some of London's more run down East End areas. I'm looking forward to them happening. I must get my head round what we actually want to see! Looks exciting. Hope its as much fun as the world cup was in SA. 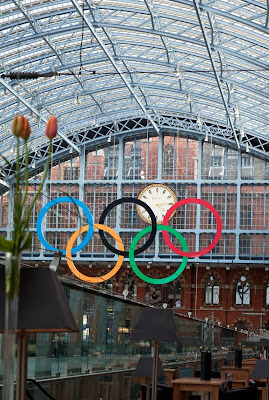 The Olympic rings help to take my mind off how naff our Olympic logo looks!